Dr. Lucinda Manda-Taylor of the University of Malawi became one of the first women to serve as Editor-in-Chief of the Malawi Medical Journal this year. Her journal is part of the African Journal Partnership Program (AJPP), a mentoring partnership linking nine African health journals with leading US and UK journals. The aim of the collaboration is to boost impact, visibility and reach of the African journals. Dr. Taylor, a bioethicist by training, one of the only female editors in the AJPP network. 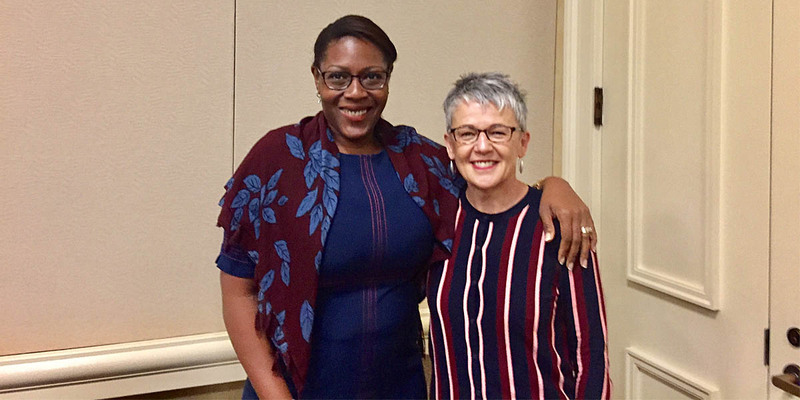 Lucinda, you are, in fact, not just the first woman Editor in Chief of the Malawi Medical Journal, but one of the first in the African Journal Partnership Program. Can you tell us about the challenges and benefits of running a journal in Malawi and Africa? Let me start by reflecting on the benefits of running a journal in Malawi. To begin with, there is a great sense of personal satisfaction in being one of the few African female editor-in-chiefs on the continent. That alone is an accomplishment. I have the opportunity to showcase the important research work that is emerging from the African content. However, the opportunity to run a journal in Malawi, and by extension, Africa presents me with a challenge. The specific challenge I want to reflect on here is irrespective of being a woman but about excellence. Because excellence on the quality of manuscripts published and the maintenance of the highest ethical standards set by the journal publishing world is what I seek to be judged on.